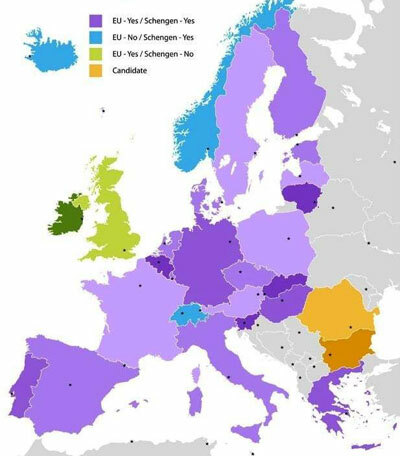 Do you need a Schengen VISA? Do you need a visa to travel and study in our school? Learn more about the SCHENGEN VISA, we can help you out! In the past five years, we have welcomed students from several countries such as India, China, Saudi Arabia, Egypt, Oman, Russia, Turkey and Thailand who needed the SCHENGEN VISA to travel freely around Europe, including Spain and Italy, where our students participate in different courses focused on archaeology and anthropology. The Schengen area comprises 26 countries - 22 are Europeans- which have decided to eliminate their internal border controls so you can travel among them as if it were a single country for 90 days. Please, check this list to know if you need to obtain your SCHENGEN VISA to study in Spain or Italy with us. If your country is that list, please contact our course coordinator who will be glad to help you out with the paperwork. (please fill out the form below). It is not difficult to get the visa. You just need to collect the necessary documents, including the mandatory letter of invitation so you can travel and participate in our courses. Do you need help to get your Shengen VISA.Contact the course coordinator by filling out this form. Which course/s and session/s are you interested?